Writers: Robert Kirkman and Seth Hoffman. Cast: Andrew Lincoln, Norman Reedus, Steven Yeun, Lauren Cohan, Chandler Riggs and Danai Gurira. The mid-season finale for "The Walking Dead," titled "Too Far Gone," blew one watcher's expectations away. A conflict was coming as set up in previous Governor (David Morrissey) focused episodes: "Live Bait" and "Dead Weight." That contest involved ownership of the prison. Here, the climax of seven episodes came to a head and some characters did not survive. Herschel's (Scott Wilson) time was limited and so was the Governor's. These two characters and several more minor characters breathed their last, in this exciting showing. Plot elements were action focused, which narrowed the story but spread out the survivors. Where does that leave Rick (Andrew Lincoln) and everyone now? Many of "The Walking Dead" fans might be asking these types of questions. This episode effectively created a suitable hook, by leaving the show in chaos. "Too Far Gone" is a title reference too the Governor and a continuing story arc with this character. Some people cannot change; it is the Governor's way, or the highway for Rick and his friends. The Governor wants them to leave and there is no room for negotiation. And so, this character is left behind, because of his inability to compromise. This episode began with the Governor, but it did not end with this character. Instead, the Governor was sacrificed to Michonne (Danai Gurira), over unfinished business from Seas. 3. The Governor dies with one sword stroke. Herschel is also murdered in cold-blood. Mitch, the Governor's henchman, leads his tank and other confederates into the prison. Here, a battle royale takes place between the prison survivors and the Governor's easily manipulated cronies. This episode ended inconclusively, with the prison in flames. No one decisively won in "Too Far Gone." Herschel's sunny disposition is gone, for good. There is no question of Herschel's fate. A small scene is devoted to the Governor hacking Herschel's head clean off. So, this character will definitely not be returning in Epis. 9. When this viewer saw Michonne's sword at Herschel's neck, this viewer had a very strong inkling of what was coming next. This watcher predicted his demise, shortly in an earlier review for "Internment" ("Internment Review"). As well, the source material for "The Walking Dead" offed Herschel back at the farm and it is a wonder how he made it this far. 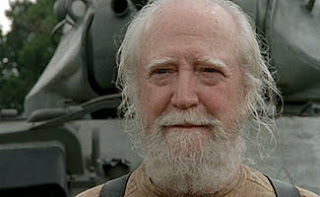 Though, Herschel will be missed as he was the most peace loving character on the show. There is no telling of what is to come, without his voice of reason. "Too Far Gone" really delivered the goods. There was action, conflict and confrontations. This episode began with a kidnapping and then, war was delivered to the foot of the prison. This episode was light on dramatic elements and more focused on delivering visual thrills. Several new conflicts were started, including: the emergence of Carol's (Melissa McBride) killer kids and the loss of Tara's (Alanna Masterson) new love interest. These new conflicts will create later tensions, amongst the survivors. Though, Tyreese (Chad L. Coleman) might be singing the kids' praises for a bit. In the end, it was good to put to rest the ongoing spat between the Governor and Rick. Rick had already bested the Governor in Seas. 3, so it was good to see the Governor finally put out of his misery. It is a wonder as to who Rick will be dealing with next. Perhaps, that voice on the radio will test Rick's leadership abilities, once again. Overall, "Too Far Gone" brought the mid-season finale to an explosive semi-conclusion. And, few will be missing the Governor. The Governor had few friends on this series, outside of the deluded Andrea (Laurie Holden) and the intimidated Mitch. The Governor showed some promise on his own, but he does not play well with others. Even Lilly (Audrey Marie Anderson) appeared fearful of him, in this episode. Where could the Governor turn? Without murder, the Governor is a flat charcter. He did show some hope in previous episodes as a father figure to Meghan. However, this series requires villainy and there are few up to the task, outside of this malefactor. Still, it is good to see the show creators respecting their characters, including their antagonists, so well. Where will the season be once it returns in a couple of months? The prison survivors seem spread out all over the place. Tyreese is grouped up with the killer kids and he might have trouble sleeping, after seeing what they did. Also, Sasha (Sonequa Martin-Green) is with Maggie and Bob. Bob is injured and they will have a tough time outrunning the undead. The bus is packed with a few characters, but the group is fractured. The next couple episodes will deal with reuniting the group and this viewer would not be surprised if another minor character, like Bob or similar, succumbs to the apocalypse. There will be a lot of separated narratives taking place and at least one other character's story will likely come to an end, fairly soon. This watcher is also predicting that the survivors will link up with others. That voice on the radio from "Isolation" is not just a red herring. 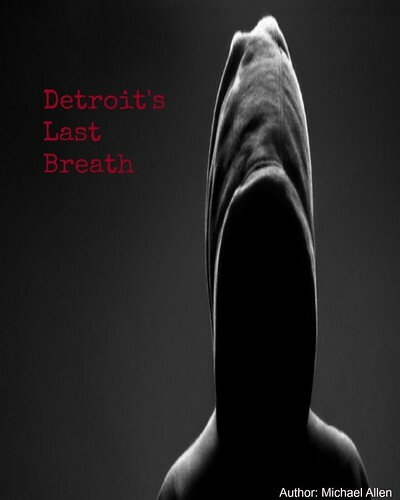 These other survivors will reintroduce another threat to the group, or offer new challenges. There was a lot to like in this showing of "The Walking Dead" and even a surprise or two. "Too Far Gone" cleaned up a lot of baggage from Seas. 3 and the loss of the Governor will leave room for other threats to be introduced. Herschel will be missed, but few characters survive so many seasons. The survivors are fractured, so future episodes will deal with the struggles of surviving in smaller groups. A couple minor characters might not continue to live in this dangerous environment. This viewer is most anxious to see who Rick and his survivors meet up with next. Now, that the prison is gone, for good, these characters will need to find shelter and soon, before more conflicts further reduce the show's dwindling numbers. *even little Meghan falls in this showing. Overall: 8.5 out of 10 (lots of action, decent conflict, a surprise or two, those killer kids are a menace - except to Tyreese).